Looking for an innovative and state of the art vacuum cleaner for your home or your car? Your best bet would be the Black & Decker BDH2000PL Vacuum Cleaner, an efficient, affordable and powerful handheld vacuum cleaner that is also one of the best vacuum cleaners available on the market. 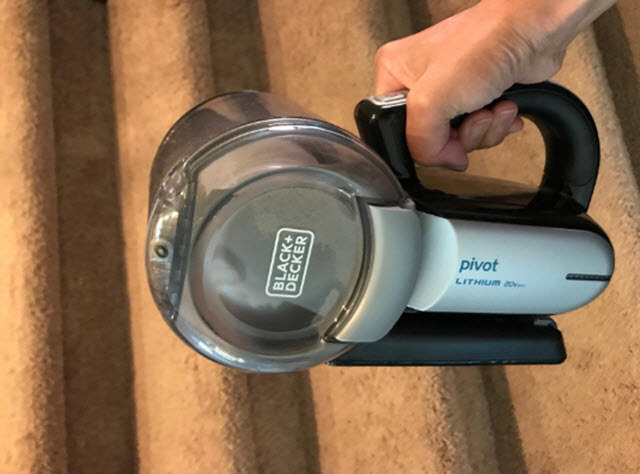 The Black & Decker BDH2000PL cordless pivot vacuum cleaner enables you to take powerful action against dirt and dust that gets settled everywhere in your home, including crevices, corners, and other hard to reach areas. Powerful and easy to use, this product offers excellent suction that can clean any type of debris from any type of surface. 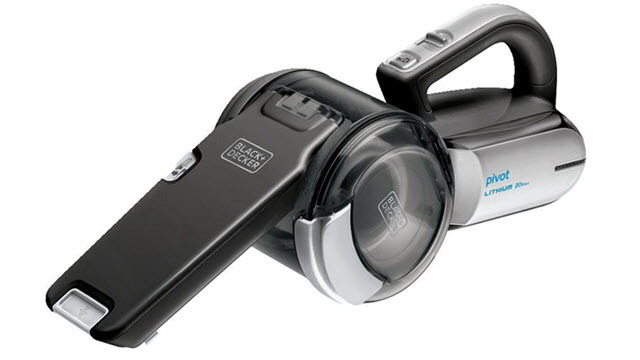 The Black & Decker BDH2000PL is a lightweight vacuum with a unique design and pivot feature. The handle is designed in such a way as to enable a comfortable grip and easy use. On the handle is the button for turning the device on/off. The wide-mouthed design allows for the suction of larger debris and litter. Because of its compact design and foldable feature, the unit can be easily stored on its own charging dock when not in use. This feature is really a space saver, especially when you have limited storage space. 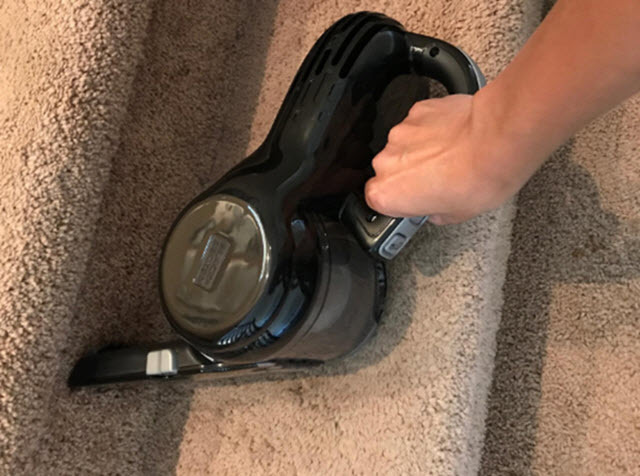 The BDH2000PL is a cordless vacuum that gives you the freedom of vacuuming any area in your home without having to worry about dragging the cord, or tripping and falling on it or searching for the nearest electrical outlet. The BDH2000PL uses a high-performance motor that provides up to 35 air watts of powerful cyclonic suction throughout the vacuuming process. The suction doesn’t fade even if the battery drains. The Black & Decker BDH2000PL dustbuster is powered by a 20V lithium-ion battery that provides strong suction and fade-free power. These batteries have a longer lifespan, which allows you to recharge them as many times as you need before having to replace them. When fully charged, you can operate the unit for some 12 to 15 minutes. Even though the operating time is quite short, it is enough for cleaning your car or doing quick cleanups in your home. Initially, for optimum battery performance, you’ll have to charge the unit for 24 hours, and after that, it will take only 2 hours for the batteries to be fully charged. 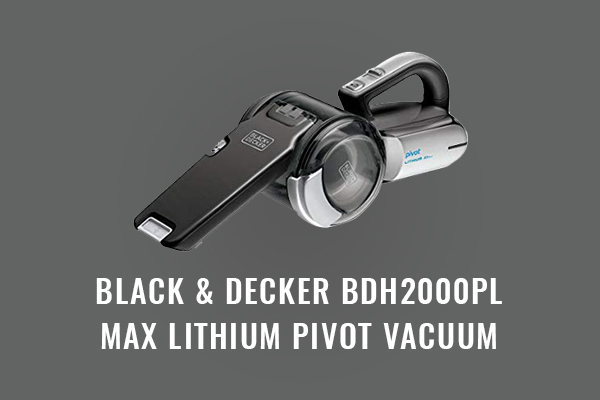 The BDH2000PL comes with a charging base, which also serves as a storage unit for the vacuum. Not only is the battery rechargeable but it can also be replaced. The unit also has an LED indicator light to indicate the status of the vacuum’s battery. Full light tells you that the batteries are fully charged. One of the best features of the BDH2000PL is that it has a pivoting nozzle that can pivot through an angle of 200 degrees. This feature enables you to clean even the hard to reach areas without twisting your arm. It can get into any cracks or crevices and do its job. The pivoting nozzle has a built-in brush and crevice tool that can be extended or retracted as per your requirements. For this reason, no separate attachments are provided with the unit. The Black & Decker BDH2000PL cordless dustbuster incorporates a three-stage air filtration system by making use of a pre-filter, cyclonic separation and washable filter. While the first stage of the three-stage filtration process removes larger debris, the second stage removes fine dust particles. The third stage purifies the air. If you or any family member suffers from dust allergy, the BDH2000PL is a must-have in your home. The transparent dirt bowl allows you to keep track of the amount of dirt that gets filled in it so that you know exactly when it is time to empty the bowl. The filter, as well as the dirt chamber, can be easily detached and washed. The BDH2000PL makes use of cyclonic technology that causes all the dirt and debris to collect at the bottom of the dirt bowl rather than getting ejected back into the air. With this technology, the unit maintains powerful suction even when the dirt bowl becomes full. Somewhat costly for a cordless handheld vacuum cleaner. 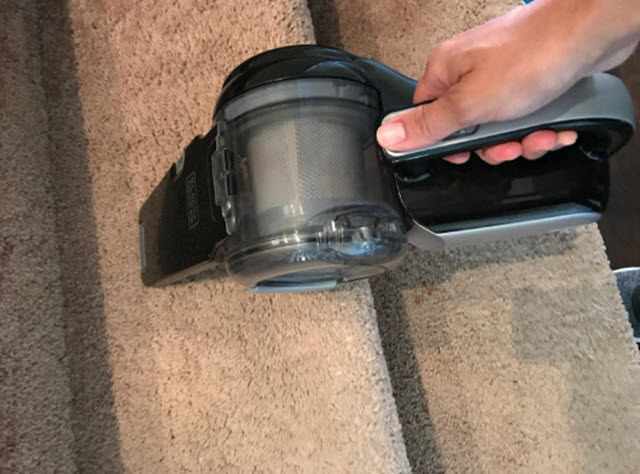 The Black & Decker BDH2000PL cordless Vacuum is one of the best cordless, handheld vacuum cleaners on the market that features a lightweight and ergonomic design, powerful suction, long lasting batteries, a three-stage air filtration system and more. 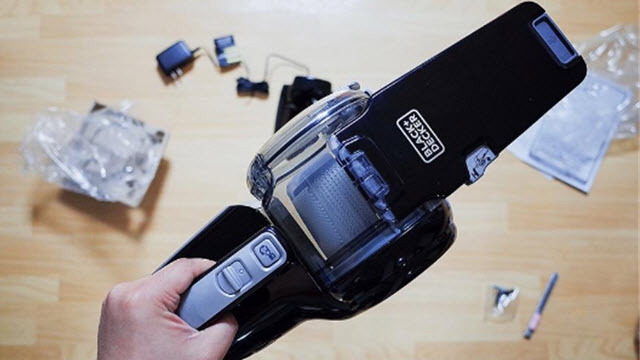 If you’re looking for a compact and affordable vacuum cleaner for performing quick cleanups around your home or inside your car, go for the Black & Decker BDH2000PL. It’s a vacuum cleaner designed to last long.